王飞, 高强, 吕锡宏, 陆珏磊, 冷培恩. 上海市地面排水系统2017年蚊虫孳生状况调查研究[J]. 中国媒介生物学及控制杂志, 2018, 29(3): 259-262. WANG Fei, GAO Qiang, LYU Xi-hong, LU Jue-lei, LENG Pei-en. Breeding status of mosquitoes in municipal drainage system of Shanghai, China in 2017[J]. Chin J Vector Biol & Control, 2018, 29(3): 259-262. Corresponding author: LENG Pei-en, Email: lengpeien@scdc.sh.cn. Abstract: Objective To explore the breeding status of mosquitoes in rain-water catch basin and sewer inspection pits of Shanghai district, and provide basic data for mosquito control in storm and sewer drainages. 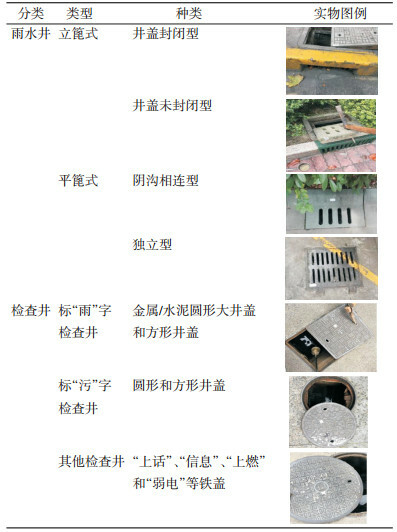 Methods Rain-water catch basin and sewer inspection pits of residential areas, parks and roads selected in downtown Shanghai, outskirts of town and suburb, were investigated to learn the mosquito larval breeding situation and the habits in July, 2017. Results Of the 878 basins, 41.69% of which had water, and the positive breeding-rate was 49.73%. The positive breeding-rate of flat grate type and vertical grate type were 50.36% and 47.67%. The average density of mosquitoes was 9.97 per dip. Of the 284 sewer inspection pits, 82.04% of which had water, and the positive breeding-rate was 18.88%, the average density of mosquitoes was 4.85 per dip, the positive breeding-rate of basins was significantly higher than in sewer inspection pits (χ2=57.643, P=0.000). The highest positive breeding-rate in flat grate type and vertical grate type was in residential areas, being 56.46% and 23.23%, the positive breeding-rate in parks were 45.35% and 12.50%; the positive breeding-rate in roads were 35.21% and 7.89%; the difference was statistically significant (χ2=10.433, 6.399, P=0.005, 0.042). There were Aedes albopictus (52.20%)and Culex pipiens pallens/quinquefasciatus (47.80%) breeding in basins. There were Cx. pipiens pallens/quinquefasciatus (70.45%)and Ae. albopictus (29.55%)breeding in sewer inspection pits. Conclusion The rain-water catch basins were important mosquito breeding ground in surface drainage system. The mosquito control of the rain-water catch basins should be strengthened. 高强, 周毅彬, 曹晖, 等. 上海市城区中心地带三带喙库蚊种群新动态及应对措施的研究[J]. 寄生虫与医学昆虫学报, 2013, 20(3): 145-152. 高强, 曹晖, 张振东, 等. 白纹伊蚊在上海城区地面雨水井的孳生状况分析[J]. 中华卫生杀虫药械, 2016, 22(6): 563-568. 冷培恩, 高强, 刘洪霞. 公共环境治理与蚊媒控制[J]. 上海预防医学, 2016, 28(10): 687-692. Paupy C, Delatte H, Bagny L, et al. Aedes albopictus, an arbovirus vector:from the darkness to the light[J]. Microbes Infect, 2009, 11(14/15): 1177-1185. 陆宝麟. 中国动物志.昆虫纲.第8卷.双翅目:蚊科(上)[M]. 北京: 科学出版社, 1997: 38-55, 433. 段金花, 刘文华, 吴军, 等. 市政管网沙井口蚊虫孳生的调查研究[J]. 中华卫生杀虫药械, 2012, 18(1): 25-27. 曹晖, 高强, 樊坚, 等. 上海市黄浦区101个地下车库蚊虫孳生情况及应对措施分析[J]. 中国媒介生物学及控制杂志, 2016, 27(2): 155-159.